A fence now separates the sanctioned and unsanctioned tents, and Supervisor Dave Cortese said he hopes the lot doesn't become a "tale of two encampments"
With the Hope Village homeless encampment preparing to end its lease on San Jose-owned land at the end of March, Santa Clara County supervisors will discuss moving the pilot program to a proposed "New Hope Village" during its meeting Tuesday. Advocates for Hope Village are gathering support to oppose the change, and say the county is attempting to disassemble their vision and convert it into a "tiny home village," similar to those erected in other Bay Area cities. The privately funded encampment began as a collection of unsanctioned tents surrounded by a fence but successfully rallied local support from the county and San Jose. The county agreed to lease the city-owned land adjacent to Mineta San Jose International Airport for six months, paying only $1 a month. Hope Village founder Peter Miron-Conk said in September that he was grateful for the arrangement but has constantly pushed for more tents and a longer timeline to properly test the setup. 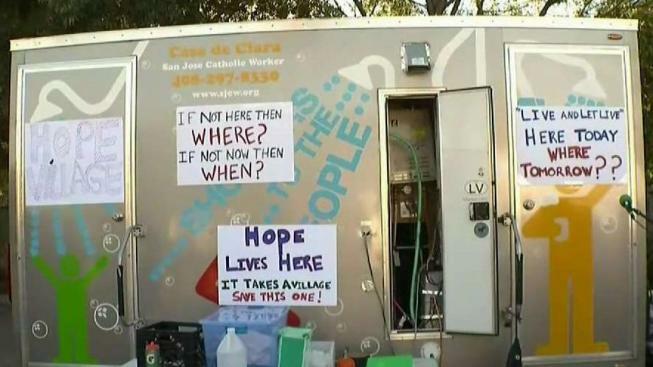 Workers on Monday spent time clearing out a lot in San Jose for the experimental Hope Village, a community of homeless people who vow to stay clean and sober. Bob Redell reports. The encampment is limited to residents who do not have substance abuse or serious mental health issues, and provides mobile showers in addition to electricity and moderate security. 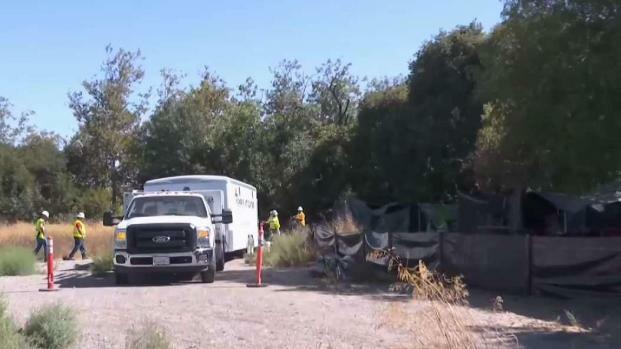 It's a step up from living at the edge of a creek bed without the certainty of remaining there, because of constant sweeps from property owners and the California Highway Patrol, residents say. It also offers more independence than tiny home villages, which can involve the presence of law enforcement. Ky Le, director of the Office of Supportive Housing, has recommended that the New Hope Village will "have a substantial self-governance component." Miron-Conk says, however, that his conversations with Le have not been sufficient. "Our input was not sought. In fact, we have been written out of the proposed move and expansion," Miron-Conk said in a statement, describing the proposed tiny homes as driving up costs and forcing residents to pass through county case management. "The plan drives up the cost and eliminates the possibility of this being easily and quickly replicated," he said in a statement. "Their purpose is to eliminate Hope Village, which county OHS staff and city housing staff have never embraced." Responding to county requests for extensions, San Jose has said it cannot lease the property any further because of grant agreements with the Federal Aviation Administration, meaning Hope Village will have to move from the 1000 block of Ruff Drive by the end of March. 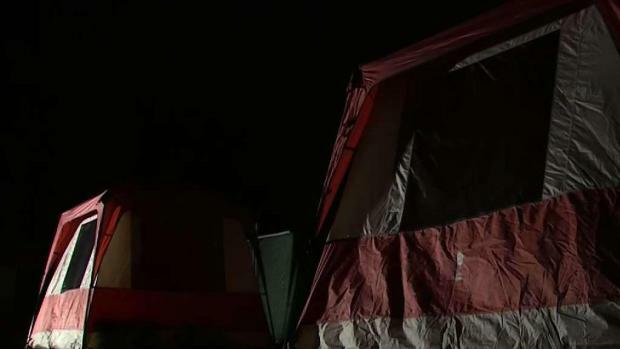 The city of San Jose and Santa Clara County were working on an agreement Tuesday night that would allow the Hope Village homeless encampment to keep a site for up to six months. The county's recommendation would spend about $3 million to create one or two new tiny home villages near the Elmwood Correctional Facility and a Santa Clara Valley Water District site near Willow Glen. The county has agreed to work with local nonprofits to organize the site, as suggested by Miron-Conk, but the two groups are at odds about the effectiveness of a county- and city-run iteration of Hope Village. The Santa Clara County Board of Supervisors will meet at 9:30 a.m. in its chambers at 70 West Hedding St. in San Jose.